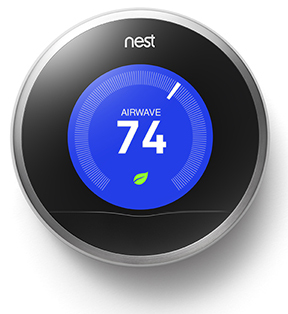 DAIKIN NORTH AMERICA LLC TO WORK WITH NEST ON PRODUCT INTEGRATION. Daikin North America LLC (daikincomfort.com) announced today that it is working with Nest Labs, Inc. (nest.com) to build integrations for its full range of Daikin brand residential products that will allow them to function with Nest products, including the Nest Learning Thermostat™ and Nest Protect: Smoke + Carbon Monoxide™ alarm, as well as the Dropcam Wi-Fi video monitoring camera and service. The Nest Thermostat is currently available across all Daikin’s company-operated distribution outlets and a significant number of Daikin’s independent distribution outlets for sale to HVAC contractors. Daikin North America LLC (DNA) is a subsidiary of Daikin Industries, Ltd. (DIL). DNA and its affiliates manufacture heating and cooling systems for residential, commercial and industrial use and are sold via a select group of independent HVAC contractors. DIL manufacturing operations include facilities at Houston, Texas, Fayetteville, Tenn., and Dayton, Tenn.
For additional information, visit www.daikincomfort.com.